Did you hear that? That’s the sound of thousands of disappointed Star Wars fans who just realized that a life-size remote control R2-D2 refrigerator that can deliver them drinks will never be theirs. Unless they can find a way to justify spending $8,000+ on a tiny fridge that can only chill six cans. 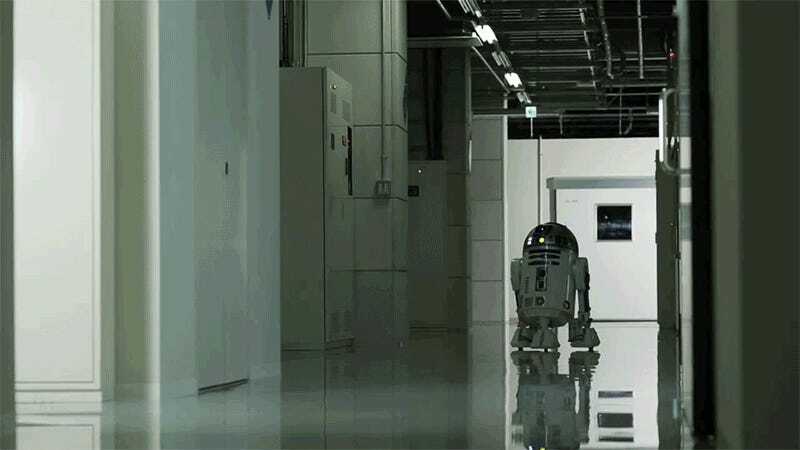 First revealed back in June before the Star Wars: The Force Awakens merchandising blitz was in full effect, the near perfect replica of R2-D2, with authentic lights, sounds, movements, and a two-hour rechargeable battery, can be steered around your home or office using an included wireless remote. The limited capacity of the actual fridge was easy to overlook because, well, it’s R2-D2! And being cautiously optimistic about the price, which wasn’t revealed back in June, definitely made this collectible something to look forward to. But now that the R2-D2 mini fridge is officially available for pre-order, the harsh truth about its price tag is a hard pill to swallow. For $8,000+ (¥998,000) you could have easily bought every last collectible that was announced on Force Friday, with enough cash left over for movie tickets, even if you had to buy them on eBay.